Spanish as a language is all around us even in the simple ‘holas’ we exchange in casual conversation. The sounds of the language are so familiar in everyday but often feel distant when you are unable to participate yourself. Studying the language is just a start, but to feel confident in expressing yourself in an exchange is the real goal. 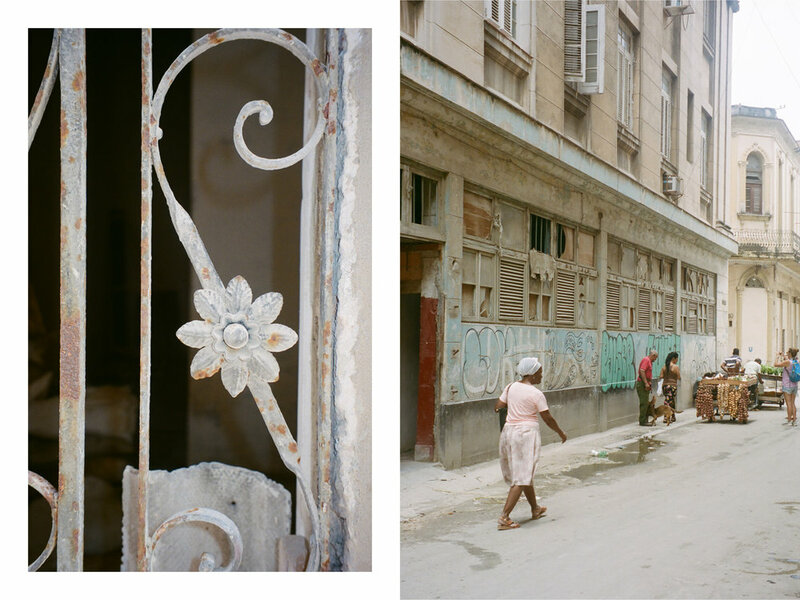 In Havana we met the Reyna sisters, artists and fashion designers, through our travels with Hasta Cuba. Greta and Gabby Reyna’s experience with English was about equal to our Spanish and we soon realized this was an opportunity to actually participate in a conversation exchange. The best way to communicate was to truly be open and compassionate to one another’s desire to learn more about each other. The twins hosted us at their apartment a couple nights during our visit and we were able to see Greta’s collage and drawings alongside Gabby’s experiments in feminist fashion design. The twins friend Laura was a lovely addition to the group and the most helpful in translating when we just couldn’t seem to find the right words. The more often we visit new countries it’s becoming clear the only way to really see into the heart and soul of the communities you want to experience is through language. The opportunity to connect with new friends on this level was invaluable. Hasta Cuba offers a curated experience highlighting the vivid transitional period in Cuban history, by connecting travelers with local experts and resources, and opening the doors for independent exploration. Traveling with Hasta Cuba we were able to connect with locals like the Reyna Sisters, Laura and our guide Lidi to learn about Cuban history, daily life and their hopes for the future of their country. An Either And editorial was one of our objectives in traveling to this country rich in history and beauty and Hasta Cuba made production, location scouting and travel needs for the shoots seamless. From coordinating a ride in a vintage red convertible Chevrolet to arranging the airport travel for our model, Aoife Rosso, the team at Hasta Cuba did not miss a step in making sure we felt comfortable shooting on a location foreign to us. Both Casa Particular’s we stayed at were picture perfect and photo ready. The first home was managed by kindest and welcoming Cuban women lead by the sweet Mari. 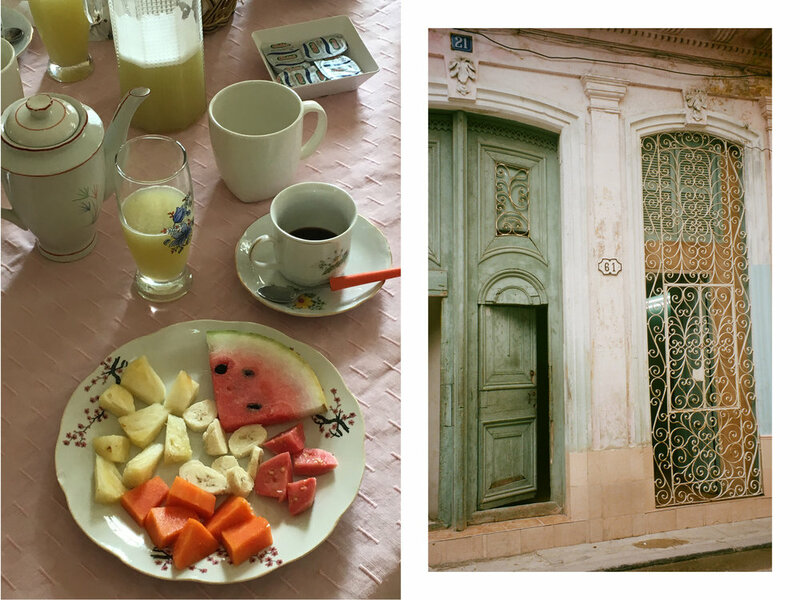 Breakfast of fresh fruit, bread, juice with a side of eggs and coffee were ready for us every morning. The presentation was so lovely and helpful in getting into a creative mindset each day of our travels. The second was in the building of Andres, the program director of Hasta Cuba, and had the most impressive balcony for vintage car and people watching. Each day through rain or shine the scene was set and ready for our cameras. Every corner you turn in Cuba was an idyllic backdrop and the locals were so kind to let us use their city as our canvas. 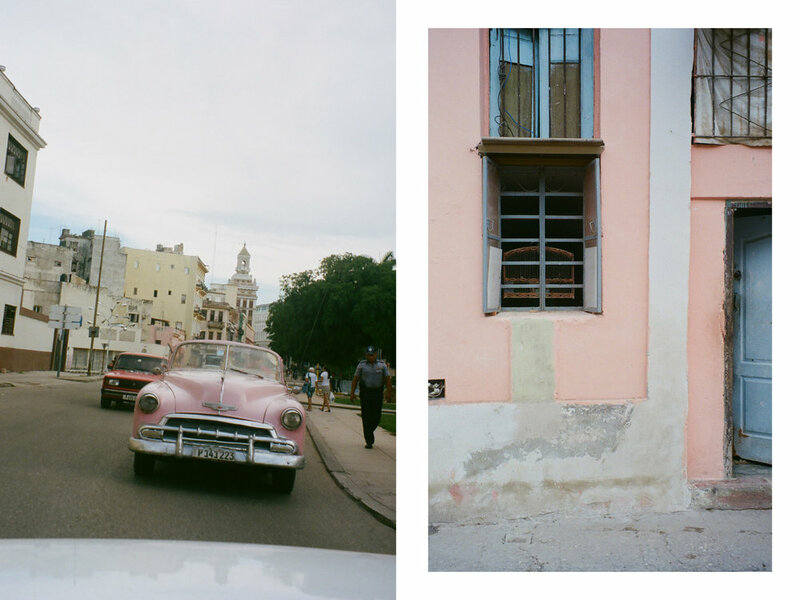 We were greatly inspired by the daily life which we were immersed directly into because of our travels with Hasta Cuba. Lidi, Max and Andres all made sure we were taken care of on each step of our journey.